• Gate 777 Casino Review - A Good Choice For UK Players? Gate 777 styles itself after an airport gate which promises a first-class experience. Created by a team of five people who love online gaming and travel, this site aims to transport its players away from the mundane and the ordinary. With a very large selection of games and an enticing welcome bonus, this is a site which will make a lot of people tempted to check in. Normally the Casino Gorilla is a reluctant traveller – so hard to get enough leg room on the plane – but he is looking forward to taking flight and trying out Gate 777 Casino. Gate 777 Casino has a four-figure bonus on offer to new joiners; the kind of offer that tends to make casino players’ eyes light up. Look past the big numbers, though, and this offer is not quite as enticing as it first appears. The Casino Gorilla has gotten his magnifying glass out and taken a look at the small print which accompanies this offer – and he wasn’t too happy with what he discovered. For one thing, the wagering requirement of 35 times deposit plus bonus is a high one – especially when the deposits required to fully maximise this offer are pretty large. And although free spins are nice, there is a limit on how much can be won from them – see the free spin section for more information on that. With each of your first four qualifying deposits there are 25 free spins up for grabs. The free spins are for four of the most popular NetEnt titles: Starburst, Aloha!, Fruit Shop and Gonzo’s Quest. 100 free spins is not to be sneezed at, but unfortunately there are restrictions on how much you can win with them. The maximum winnings per each batch of 25 is set at £10, so you will not make a fortune from this offer. Any winnings are treated like bonus funds and so they have to be wagered 35 times before they can be withdrawn. Collecting your welcome bonus is as simple as just going to the cashier and making your qualifying deposit of £20 or more. Remember that if you fund your account with Neteller or Skrill you cannot claim the bonus, but otherwise it will automatically be credited to your account without your needing to add any bonus code. If it is the case that future bonuses require a code to be claimed then you will be notified in the terms of that offer. The live dealer casino could well be described as ‘small but perfectly formed’. The 17 games here are only a drop in the ocean of games available on the site as a whole, but are still enough to offer a high quality gaming experience. Naturally, blackjack and roulette are the options which appear most frequently, but besides these live dealer fans can get to enjoy Football Studio, Dragon Tiger, Texas Hold ‘Em, Baccarat, Caribbean Stud and 3 Card Poker. Gate 777 has a travelling theme, so it is only right that it should be able to boast a good mobile gaming option. Android and Apple fans alike will be able to enjoy the fantastic gaming options available here on their phones and tablets, no matter where in the world they are. (Except for those restricted countries – see below for more info on those.) Otherwise, whether you are coming or going you will be able to play a great selection of fantastic slots and traditional casino games. 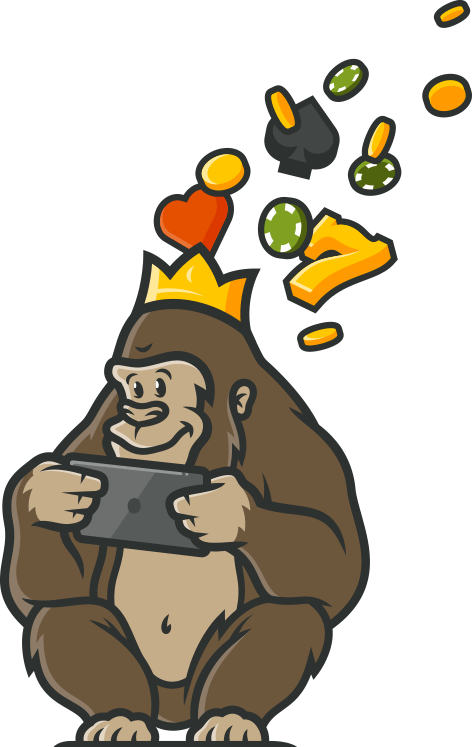 The Casino Gorilla checks the licence of any online casino just as soon as he opens it on his browser – it’s become second nature to the big guy now. And what makes him happiest is to see the twin logos of the Malta Gaming Authority and the UK Gambling Commission. These are among the strongest regulators and the most proactive on behalf of customers. The casino is protected secured by the strongest SSL encryption available on the market to make sure that nobody can access your account. You can find the FAQ section of this site by clicking on the Help button, and here there are a selection of the most commonly asked questions. The customer support team is standing by around the clock to answer any queries you may have, and they can be contacted either via live chat or email. The support you receive will be fast and professional, as this is an experienced crew. There is a pretty large selection of countries where you will not be able to play at Gate 777. They may be all about travel, but there are some ‘visa’ restrictions in place. If you log on from any of these countries you will see a message on-screen telling you that the casino is not available to you: Australia, Belgium, Cuba, Denmark, Hungary, Indonesia, Iraq, Israel, Italy, Poland, Portugal, Romania, Russia, Serbia, Singapore, Slovakia, Slovenia, South Africa, Spain, Sri Lanka, Tunisia, Turkey, Uganda and the United States. This is not the full list of excluded countries, so check the terms and conditions on the site for full details. Gate 777 will encourage a lot of new arrivals with that flashy-looking bonus of £1,000, although the reality of how much wagering will be required to withdraw it will disappoint many. 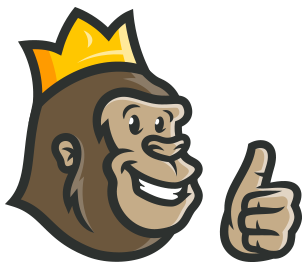 The Casino Gorilla is not a fan of tricksy small print like that, but he was impressed by both the quality and quantity of games available. The site design is fresh and welcoming and there is a loyalty plan available to all, so there are certainly a lot of good reasons to journey over to this travel-themed site. The free spin offer when signing was a great thing. I was able to earn some decent payouts, but the wagering requirements to withdraw are high compared to other sites I usually play at. I love travelling and I love gambling! Gate777 fit right in the middle of it. I loved the theme of the casino since it’s all about travelling and airport/airlines. I think I’d have liked it better if the casino provided support via phone call, but other than that, all the games and daily upgrades and promotions make up for it and then some.